In the last post we looked at organizing some thoughts related to our acoustic playing (chords families!) and the plenty of work that can be done there. One of the next steps would be to consider how those basic shapes fit beautifully into an idea known as the CAGED system. Seems simple but its not just about open position! In fact, the basic open C chord shape, A shape, G shape, E and D are so foundational to how chords are made on the guitar, that they are in fact THE shapes, in one form or another, that you'll use all over the neck for almost any chord you play; even scales, arpeggios, etc. For acoustic strummers, this is key to you really intelligently using a capo to give you 2-3 different sounding options with which to play any song and it will help you visualize the neck. For any guitarist, the CAGED concept is a foundational, practical idea for understanding how the guitar neck works and how you can move around with confidence. Awareness is the first step! Its kind of nice that it comes together to make a word we can remember too. In the next post, we’ll look at the CAGED chord sequence how it can really unlock the neck for you. Until then, thanks for serving and keep practicing! Its about time we looked at something specifically for acoustic players (though take note electric players!). The acoustic guitar is such a beautiful sounding instrument and it plays a huge role in the context of leading congregational singing. So, here begins a series of posts focusing on serving with the acoustic guitar at your church, hopefully inspiring and equipping you do so more creatively and faithfully. One thing I just want to mention: sometimes it can be easy to think that what you're doing on acoustic is boring or simple. Maybe you have a little electric guitar envy? Sure there is *plenty* to love about electric, and maybe it tends to get more of a "taste of the glory," but the acoustic brings uniquely beautiful things to the table. 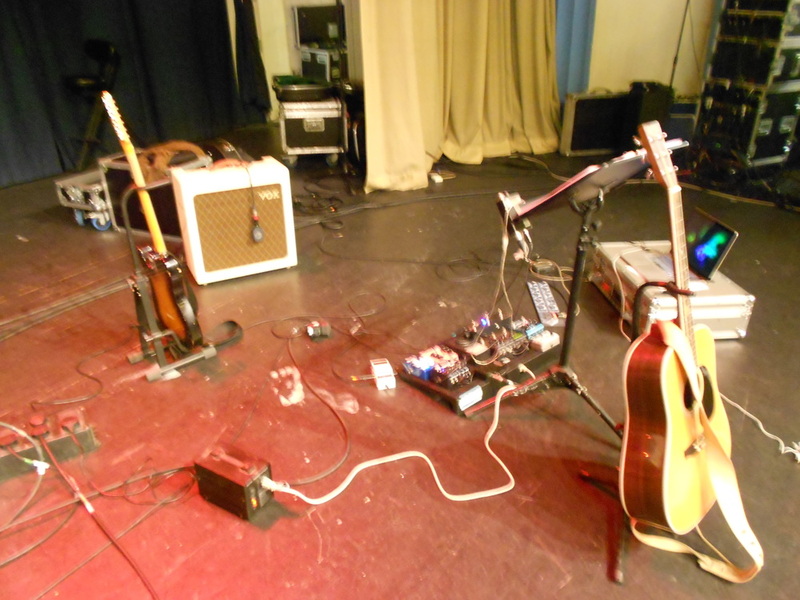 In fact, among worship leaders who play both electric and acoustic, the majority, including myself, tend to do so from acoustic ( of course you can lead from electric, but more on that later). Check back and in soon and thanks for serving faithfully where you are! I'll link soon to more detailed ideas for capo use in other posts, but for now I want to take a quick look at the capos and tricks I've found particularly helpful in live use. That tends to mean quick release style capos and ones that are easy to manage. Sure, in a studio something like a Shubb can be perfect to dial in the ideal tension for in tune playing and if you're a flamenco purist, you'll use one of these but often, we have about .24 seconds to make a capo change and start the next song. So, quick release is key. In this context I tend to see people using the kyser capos . I tend to use them as well, in a live context, as they are quick and simple to use. The pain about these is that that tension is often so strong that it easily can take your guitar out of tune because its presses down so hard (especially higher up the neck)! So, here's a tip on always getting a Kyser to not manhandle your guitar out of tune: put in on the fret wire. OK, not right on the fret wire or else you can get a muted, thuddy sound, but right on the back of the fret wire. Mess around with it. Much of placement depends on how strong the capo actually is (some are ridiculous) so sometimes you may be on the back edge of the fret and sometimes closely behind. Use your ears. The above is what I do with a kyser capo on an acoustic. For an electric guitar a kyser is almost guaranteed to take the lower string tension and mangle it wildly out of tune. So, here's what I found to help: if I have to use a kyser on electric I put the kyser capo right on top of the fret wire. Right exactly on top of the fret. Seems odd, but it works well with strong kyser capos and the sound stays clear (not muted). Again, play around with placement a bit but putting it right on top of the fret wire can keep an electric perfectly in tune as it doesn't get to press down, or pull, as far (as it would in the middle of the fret). Another benefit of the keyser capo is that you can turn them upside down and use them as a cut, or partial, capo (more on that soon). So, you can use a kyser for acoustic and electric and still stay in tune. Try messing with your placement. It really helps. Now for electrics, I much prefer these planet waves capos (again, for live use). They are weird looking, but they are quick release AND you can adjust the tension quickly . . . with a big wonky looking spring on the bottom. Anyway, they work well and I prefer them for electric. Yes, there are other options and others that work well, but for speed, I like these. I can set the tension perfectly for the guitar and its still have the benefit of quick release. Honorable mention goes to these G7 capos. Though I've never used one they have some lower profile designs that look like they would work really well (and not hang so far below the neck). They apparently are pretty quick to put on and they even make a kyser-esque looking one. They are about twice the price of the kyser capos though. The above tips prove to be really really important when using cut capos, or a capo AND and cut capo. Things can get annoyingly out of tune otherwise. Granted, on a recording I'll tune with the capo already placed to make sure everything is perfect, but for quick, live use I've found the above to work very, very well. Keep the capo as straight across the strings as possible and experiment with placement to, or on, the fret. More on creative capo use in other posts soon but try out the ideas and keep practicing! P.S. Want a capo that will haunt your dreams at night? Try the spider capo. Never used it but it looks really intriguing and supposedly woks well for altered tuning type tricks. In the last post we looked at a bit of music theory and how you can number chords. 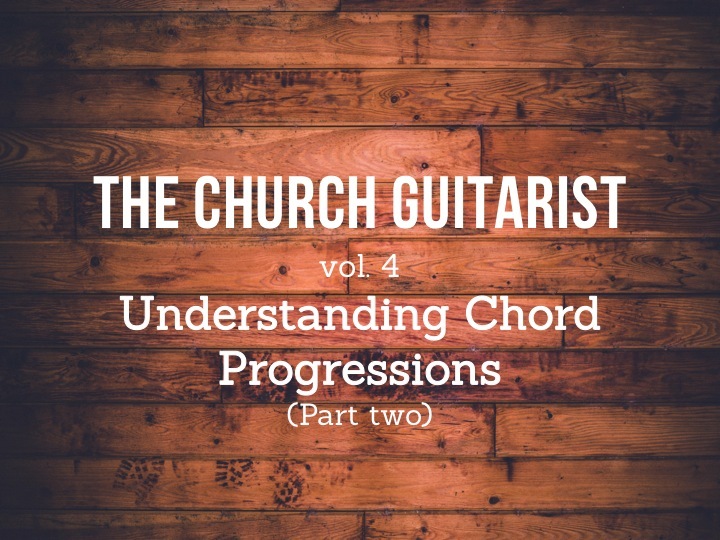 This time, we're going to look at the numbering thing a little more deeply (really helpful), how to apply this to the songs you play, and how to practice it all. Do you get the idea? Again, your chords take on number names. Certain chords are major and certain ones are minor and that is where the traditional or nashville systems can help you. Its very helpful to think this way. You'll hear musicians talk all the time about "the one chord" or "the five chord" etc.. They are just talking about the numbers associated with the chords. So, take your chord charts for the next couple months and write the numbers that correspond to the chord nearby until you don't have to think about it any more. It will happen faster then you may think. Even just think about it as you encounter charts. Or, just focus on one song a week (of course you can do more) and work out the numbers for the chords. You'll find it starts to come easily as most sections of songs repeat over and over again. This is the first step. Do what you can. With consistent work it will become second nature and be very, very useful. Trust me. The next step would be to use it while playing to change the key of a song by sight without having to write the chords out. More on that later. Practice up and let me know if you have any questions! P.S. If you haven't already, check out the rest of the series here. I've recently taught seminar on using tech in leading congregational singing at the Sovereign Grace Worship God conferences. We looked at using Ableton and the options that gives you from running a simple click to full blown multitracks. We discussed what a creative tool it can be while at the same time were honest about the challenges and considerations for use in leading congregational singing. I recommend you check these out at some point, especially if you’re new to Ableton. It’s a program that is easy to use but will do everything it can to convince you otherwise when you’re just starting out! There are other programs you can use out there to run audio, loops and click but Ableton is by far the most powerful and flexible. Here is a collection of helpful, accessible training videos by English worship leader and ableton guru, Kristian Ponsford. There are about 10 videos that will walk you through the ableton interface and other helpful things. Check them out here. If you’re getting into ableton, using multitracks or loops, it won’t take you long to discover Loop Community. Currently, they lean towards a big collection of user made loops (I tend to prefer multitracks), but their multitrack collection is growing and they have some very helpful tutorials on getting the basics of an ableton/loop rig up and running. Multitracks.com (more on them below) offers some nice intro videos as well. Check them out here. Also, if you don't want to use Ableton or can't at the moment, here is some direction on using your iPod/ipad for this kind of thing. Also, there are great apps available be to run all this. More on that below in point 5 (Loops and Multitracks). Loop Community has a great, simple tutorial on how to build a click within Ableton. Check it out here. I mentioned adding simple musical elements, like and ambient pad, to your click session in Ableton. Its easy to do. Haven't found a tutorial yet, so I may make one of my own soon. In the meantime,you can find some great resources for ambient pads from Karl Verkade here and here. Get your hands on a very inexpensive, stereo Y cable (something like this). There are many other brands out there and of course you can look into the audio interface option, but this is by far the cheapest, very useable, and simple to use. Just connect from the headphone jack on your laptop, iPad, or iPod and follow the directions in #2 right below. This is a useful diagram from loop community that shows a very simple way to connect to your sound system while separating your loop audio from your click or cues. Check it out here. Vocal cues help remind you where you are in an arrangement. As you add more musical elements, you definitely do not want to get lost! Here are a couple of tutorials that will show you how to add vocal cues in Albeton. You can see how to add them to a track here. You can download them here. Vocal cues become pretty necessary as you add more and more musical elements (multitracks, loops, etc.) though this is kind of the point at which you become committed to an arrangement and spontaneity, though not impossible, becomes more difficult. Although this is a little more advanced, here is some advice on spontaneity and how to jump around between sections of a song in arrangement view and session view (the two views in Ableton). Loop Community offers the lion share of loops out there. Check them out here. They also have a growing number of artist multitracks. Check those out here. Multitracks.com is an amazing resource for multitracks. They have a huge database of albums from musicians like Hillsong, Matt Redman, Dustin Kensrue, and many others. They also have a function called custom mix where you can buy a simpler, cheaper version of the multitrack that you can tailor to your own needs. Check out both of these sites for songs as they have slightly different libraries. Both of them also offer apps for running loops as well. Playback from Multitracks.com and Prime from Loop Community. Both are excellent resources and can simplify your loop rig. Well worth your time to check them out. Here is some advice on how build a master library in Ableton. Hopefully this can be a resource for you in getting started with loops and multitracks. In future posts I'll talk about the considerations, challenges and even potential idols that come to light in using these things to lead congregational singing. Until then, always double check your inputs and let me know if you have any questions! P.S. An important quirk in Ableton you need to fix in preferences before you start. Go here. P.P. S. And one more thing. There are three levels of Ableton: Intro, Standard and Suite. Standard is what I'd recommend if you want to build a library (more on that in point 6 above), though Intro can be useful to start and is cheaper (you can always upgrade). Suite is very expensive and I don't imagine many would need it in this context. Check them all out here (you can also download a demo of Ableton here).